Update 15 Oct 2016: Results for 2016 are now official. Results for the 2016 Albany Community Triathlon are posted on our results page. Thanks to Buzzword Productions for the awesome on-site timing support and quick turnaround. 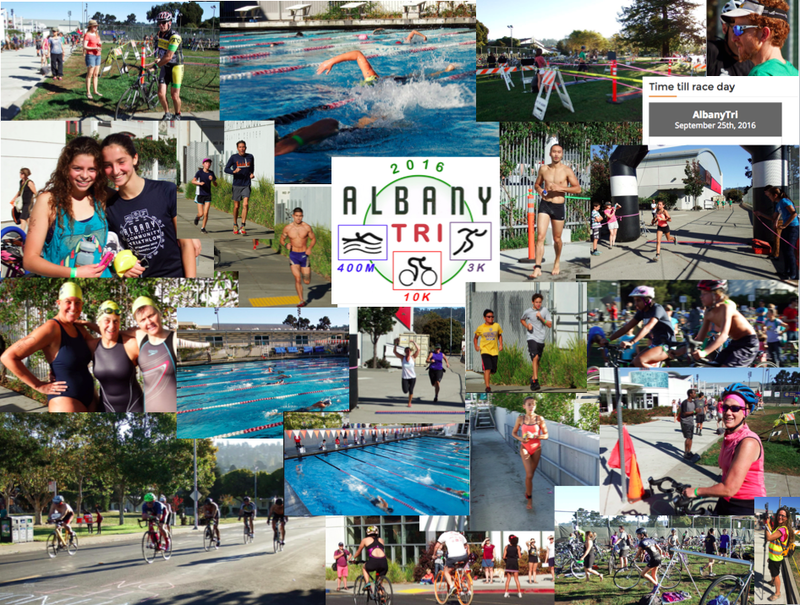 Over 600 photos and videos of the AlbanyTri action have been posted to our Facebook page. Take a look at all the fun we had today and try to find yourself! Additional event photos and videos will be posted later. If you have any pictures you are willing to share, feel free to email them to us or send us a link to an online photo album. AlbanyTri 1 Oct 2017 – Start Your Engines!